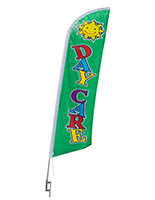 These printed barber shop flags feature a steel ground spike for placement in grass and dirt. 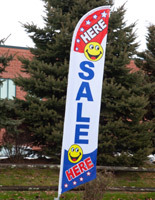 Each display has strong polyester fabric with a printed stock message featuring bold text. 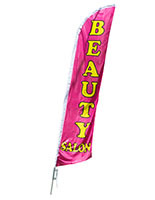 The barber shop flags are imprinted on both sides and are fade resistant for long lasting use. 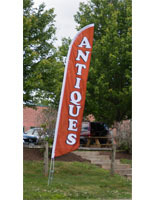 The polyester banners with a steel spike have an easy to assemble aluminum pole that weighs only 7 lbs. 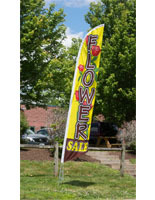 In addition, the stock message flags are printed on both sides for extra visibility. 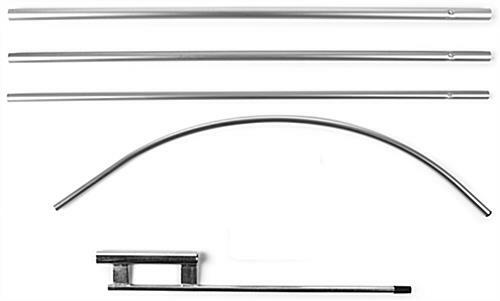 The displays feature bright red white and blue colors with black lettering to catch attention from a distance.